When I realized my last post was #999, I knew my next post had to be a good one. It's simply amazing to me that I am currently writing my 1,000th post on this blog. I am so grateful for all of the amazing opportunities that have come my way over the three years and never once do I take anything for granted. I am dedicating my 1,000th post to my 2015 running year in review. This year has been a little different than 2014, where I went out of control and did too many races which nearly burned me out. I made the decision to run fewer races this year and focus on experiences such as racecations. While I only completed 5 races in 2015, 2 were in other states and 1 was out of the country - less medals isn't such a bad thing when you had an Epic racecation year. The 2015 Walt Disney World Marathon was my 4th 26.2. I had run this marathon in 2014 as part of the Dopey Challenge and when my best friend Keri stated she wanted to run her first full marathon, I knew this would be the one for us. 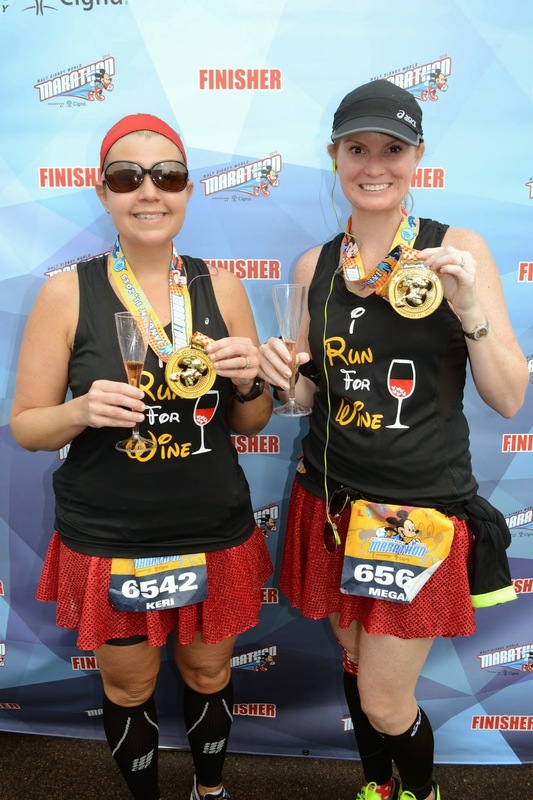 We had an amazing time and this was my first (and only) marathon running with a friend. My Mom even met us at mile 25 so we could cross the finish line with a glass of Moet Champagne. 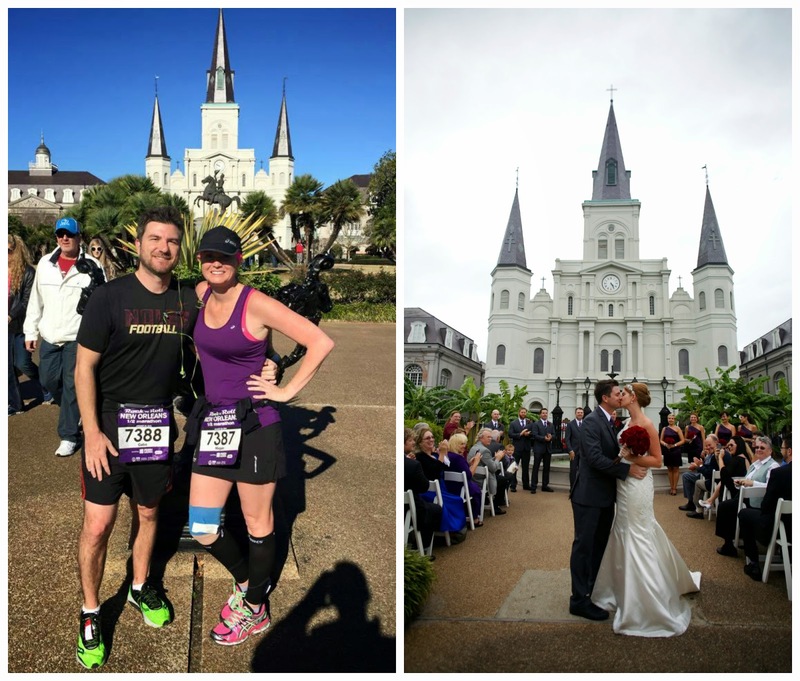 Two weeks following the Disney marathon, my husband and I headed up to run the Rock n Roll New Orleans Half Marathon where we had the opportunity to run by the exact spot we said "I Do" 4 months prior. I went on a cruise with my best friend the week prior to the RNR Half and I was exhausted from our girls trip (too many cosmos). I nearly considered cancelling our trip to NOLA all together. During the race, I had a full fledge a melt-down. This was my first time where I seriously considered a DNF. I was hurting all over and started crying mid-way through the race. However we pushed through and finished. Afterwards, I reflected on the experience and what I would do different next time (not do back to back races with a 4 night cruise in between). At the end, I would've been pretty pissed at myself if I DNF. I'm not a quitter. This helped me grow as a runner. In 2012, I ran my first 5K during the Princess Half Marathon weekend with my co-worker Nicole. We decided to celebrate our accomplishments by running the 2015 Princess Half Marathon as rebels - we didn't dress up as princesses. We had an absolute blast at this race and it brought back so many memories. I recall that day in 2012, when we both so nervously started our 5K. Neither of us ever imagined being where we were today. Nicole has ran Dopey twice (while I was a one and done) and between the two of us, we have accomplished more than we ever thought were possible. 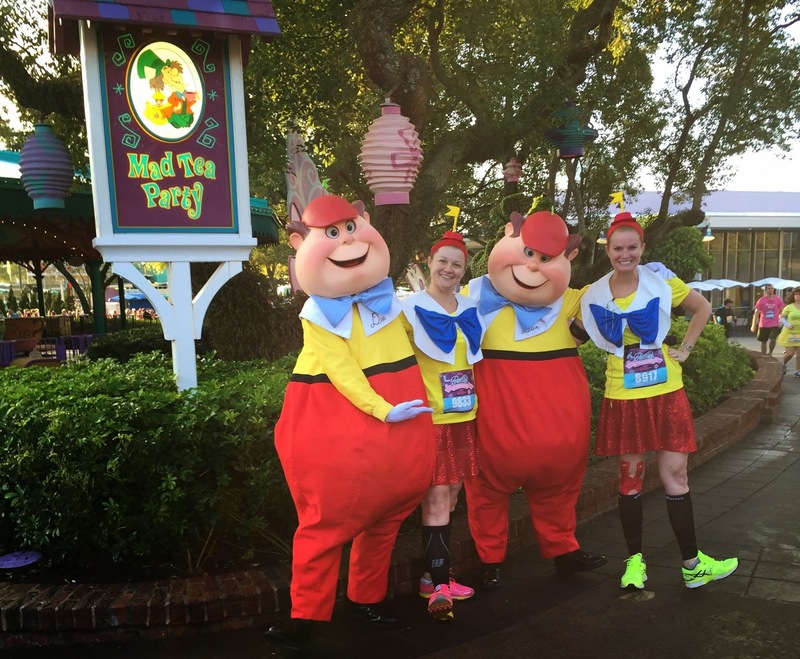 I've recently noticed so much negativity around the runDisney events and this saddens me. I owe everything to them. If it weren't for the amazing races Disney puts on, I would've never signed up for my first race and would surely not be a multi marathon runner. The Rock n Roll DC Half Marathon was my first full rain running event. 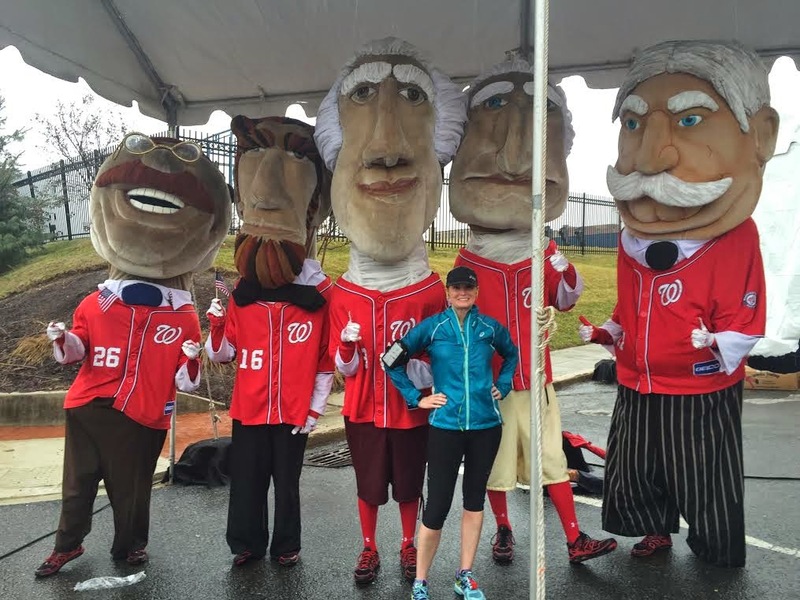 While the 2014 NYC Marathon had awful weather, the DC race was non-stop rain. While the weather was not on our side, both my husband and I fell in love with this event. This is one event we will try to return to in 2015. The course was so much fun and it was great running through the Nations Capitol. I completed my 5th Marathon which was also my first international race in October - the Dublin Marathon. This was an amazing once in a lifetime opportunity thanks to ASICS who became their apparel sponsor in 2015. We had an incredible time in Ireland and have memories that will last a lifetime. On a side note, since starting this blog in 2012, I have completed over 30 running events. 5 Full Marathons and 13 Half Marathons. It's hard for me to fathom. When I started this blog, I had only one 5K under my belt. If I have one piece of advice for anyone, it is your body can do anything your heart desires. Thank you for sticking with me over the last 1,000 posts :) Here's to many great memories to come.